F M Berkheimer Inc is proud to serve the Carlisle community! 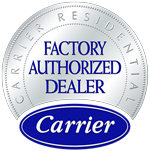 About Carlisle, PA - Happy to be your hometown Heating & Air Conditioning Contractor! Carlisle is located in the heart of the Pennsylvania Cumberland Valley, approximately 20 miles southwest of Harrisburg and 125 miles west of Philadelphia. Established in 1751, the city is home to a population of more than 18,000 residents and is the county seat of Cumberland County. Carlisle is consistently ranked among the nation’s best cities for living and raising a family. The city is served by the Carlisle Area School District and is home to Dickinson College, Penn State School of Law, and the U.S. Army War College, an elite military leadership school that trains and develops officers and civilians for high-level tactical and strategic leadership positions within the military community. 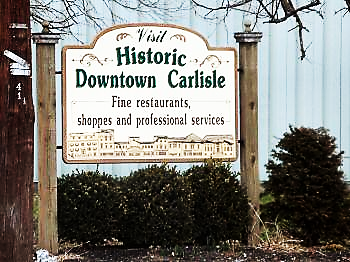 Ranked 16th among Livability’s “100 Best Small Towns” for 2015, Carlisle boasts a host of outstanding civic and economic amenities that make it a great place to live. The city’s strong, progressive economy is supported by over 1,500 businesses based largely in manufacturing, education, and retail services and driven by a skilled and educated workforce, of which more than 35% hold a Bachelor’s Degree or higher. Beautiful tree-lined streets, attractive neighborhoods, and top-rated schools, together with low unemployment, affordable housing, and a cost of living index more than 5% lower than that of the national average continue to draw new residents and businesses to the city each year. Carlisle’s spectacular seasonal climate produces mild summers and cold snowy winters – perfect weather for enjoying the numerous opportunities for outdoor sports and recreation that dominate the region. The city maintains and operates 18 community parks and a number of recreational facilities that include a community center, city pool, and 13-mile hiking and biking trail that connects parks, schools, and points of interest as it meanders throughout the heart of the city. Carlisle’s historic downtown district is home to an eclectic collection of shops, restaurants, art galleries, and cultural venues that include the Carlisle Regional Performing Arts Centre and Central Pennsylvania Youth Ballet. The Carlisle Historic District features more than 1,100 residential and commercial buildings listed on the National Register of Historic Places. Structures of note include the Cumberland County Courthouse, an impressive brick and limestone structure built in 1846, and Blaine House, an 18th century Georgian-style home built by Revolutionary War Colonel Ephraim Blaine in 1794. Situated at the intersection of the Pennsylvania Turnpike and Interstate 8, Carlisle’s historic charm, natural beauty, and friendly hometown atmosphere makes it a great place to live or visit in south-central Pennsylvania!